The Trinity Out-Reach Center of Hope was founded in 2012 to assist those in Anderson County who have recently lost their housing and have no-where else to go. 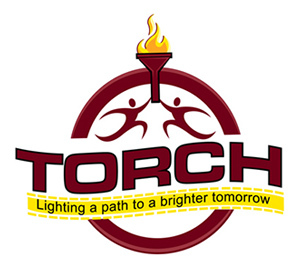 Though we are trying to grow and offer more assistance to help those in need, TORCH is a very small organization, and the only one of our kind in Anderson County. Demand for our assistance is very high. We are currently experiencing an extremely large number of people who are reporting that they are living outside or in their cars. In order to help us help you faster we ask that you review this paper work and, if you feel you might qualify for services, to continue by filling out our application form. Below are some of the services we currently offer and their qualifications. A face-to-face meeting and limited assistance with referrals. If you are homeless and do not have transportation to our office location we may be able to visit you at your campsite, hotel, or car. Homeless outreach provides education about services in the area and housing resources. The mission of Rapid Rehousing is to assist those who are homeless with getting into housing as quickly as possible. A case manager can assist with housing referrals, help filling out applications, application fees and when funding is available with utility and rental deposits to help move into housing faster. Due to extremely high demand financial assistance fluctuates and there is no guarantee that financial assistance will be available. You must be homeless by HUD’s definition. You must be living in your car, camping at a campsite, living in an abandoned building without utilities, or fleeing an abusive relationship. In order to obtain financial assistance for your case TORCH must prove that you are homeless. A homeless outreach case manager can visit you at the site where you sleep. Proof that you are homeless (explained above). Identification(if you do not have we can help you obtain). Any proof of income (SSI benefits letter, food stamp letter, pay stubs). * TORCH Rapid Rehousing cannot provide homeless assistance to people in need that are staying with friends or family members. We understand that this rule can be very frustrating for many in need. Often we hear the plea “But I am going to be homeless” or “You mean I have to be on the streets before I can get help.” Unfortunately, at this time there are simply not enough resources to assist everyone who is living outside and everyone who lives with friends or family.